In this article we take a look at the balance of payment (BOP) adjustments made by the South African Reserve Bank (SARB) in which they supplement merchandise trade statistics as published by SARS in order to account for the trade in services, as SARS customs data only covers goods. And international trade takes place in both goods and services. 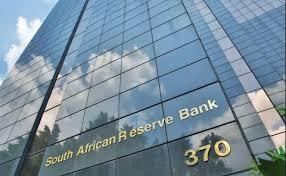 We take a look at the impact additional adjustments made by SARB has on our trade balance. How much in services are South Africa importing and exporting? The bar chart below shows the total value traded in goods and services and the net trade in services for the last 5 quarters (from quarter 1, 2017 to quarter 1, 2018). Note this reflects annualised rates. Thus its an estimate of overall BOP adjustments for a full year each quarter. The image below shows the trade balance (in goods as obtained from SARS customs data) and the adjusted trade balance after taking services into account for the last 5 quarters. From the bar chart above readers can see the positive trade balance reported in the four quarters of 2017 is substantially lower when services are taken into account. Thus one should be careful to fixate on the trade balance numbers as published by SARS as adjustments for trade in services still needs to be made. And trade in services is not insignificant, with it averaging around R400billion (for both buying and selling of services) a year. Which is around 17.4% of the value of goods being traded, as trade in goods averages around R2.3trillion a year.